Lawyer specialising in litigation, financial law, corporate law, banking law, real estate, planning and tax law. 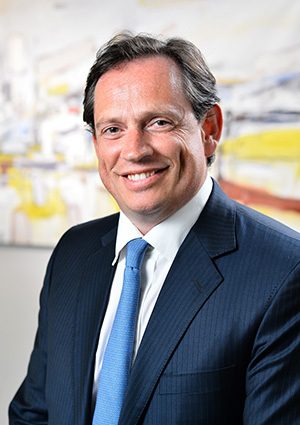 Active in the defence of minority shareholders, Olivier Bonhivers has been involved in most of the major financial cases litigated in Belgium over the past 20 years and more (Holding Communal, Sabena, Fortis, BNB, Cybertrust, Petrofina, Electrabel, Tractebel, Cobepa, Assubel and Cera). He now mainly advises clients with whom he has built a long-term relationship of trust. Olivier Bonhivers knows how rough commercial negotiations can be but he is well-known for never giving up. He combines foresight with originality and creativity and, in this way, prevents lawsuits from arising further down the road. His priority, if conflict is unavoidable, is to assist his client with the responsiveness of a fully personalised service, combining speed and adaptability according to the specific issues that need to be addressed. Bachelor of Philosophy, UCL, 1994. Special Diploma in Taxation, ESSF, 1996. Assistant in Tax Law, UCL, 1994-95. Lawyer at the Modrikamen law firm, 1995-2010. Law partner at the Modrikamen law firm, 1999-2010. Founder and law partner at Bonhivers, 2011. Guest speaker on tax law and corporate law.